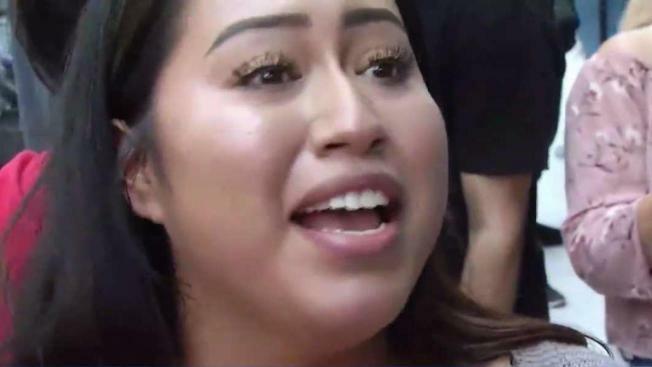 Hundreds of people in the Bay Area are turning to SIREN, an immigration service organization, for help in understanding how President Donald Trump’s decision in rescinding the Deferred Action for Childhood Arrivals program will affect their futures. The announcement, made Tuesday by Attorney General Jeff Sessions, explained that the Department of Homeland Security will no longer be accepting new applications under DACA. The San Jose based immigrant service organization is waiving legal fees for DACA recipients until October, encouraging all DREAMers to submit a renewal application by Oct. 5 and reminding other that existing permits will remain in effect, and applications already in the pipeline will also be processed. SIREN is spreading the word to all immigrants by handing out red cards outlining their rights should they face immigration agents and their workplace rights. “Employers can’t ask when your DACA expired or if you are on DACA,” said Executive Director, Maricela Gutierrez. To continue educating DACA recipients, SIREN will also be hosting free legal workshops at their San Jose offices on Thursday, Sept. 7th and 13th. Schools around the Bay Area, like Alum Rock Union Elementary School, are also responding to the DACA decision by letting parents know that the district will continue working with all students regardless of their immigration status.